Dine in style, travel in style. Let Wayne Stabiler Companies pick you up and take you to one of our fabulous restaurants. Travel in style in our Luxury Mercedes Limo Van with you and 7 of your friends/family (8 passenger max). 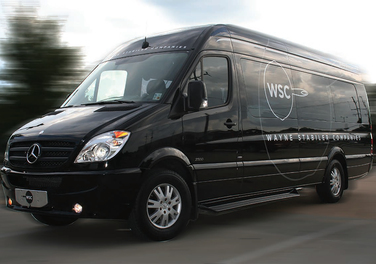 The Limo Van will pick you up at one location, bring you to ONE of three WSC restaurants; Little Village - Airline or Downtown, or Stab’s Steak & Seafood in Central. Our ride service is round trip and you will be brought back to same start location. Call for reservations, availability and to discuss pricing. PH 225-268-9336!